Showing recent results 421 - 435 of 572 products found. 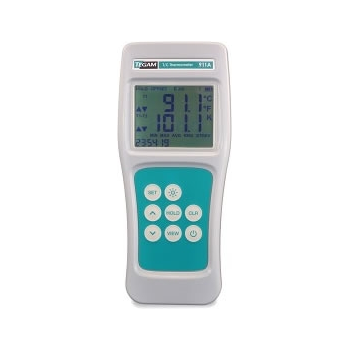 Noise e vibrations metersGa113category:	Monitoring / Noise e vibrations metersbrand:	CASTLEitem:	Ga113 The Castle SONUS is a new range of pocket meters designed for ease of use with the power the cover the work you need, from Noise at Work measurements to Environmental monitoring. The SONUS sound level meters are split into a range of meters to suit specific needs. Tenma 72-455A highly versatile audio generator is perfect for sound system and speaker component testing. 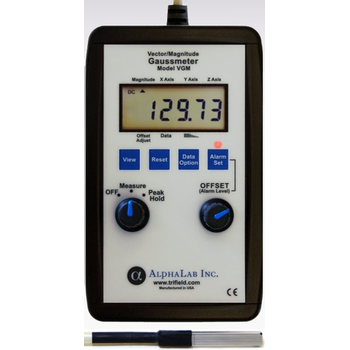 Its high precision, multiple step attenuation and selectable sine/square wave output make it suitable for any bench or serious test environment. 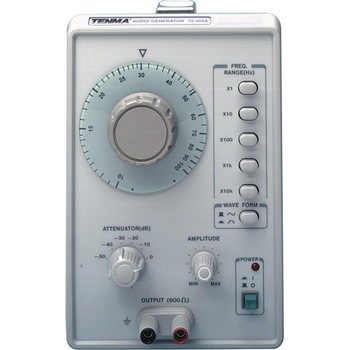 Other uses for the Mini-3 include detection of high-frequency sound from high voltage discharges and leaks in pressurised systems, analysis of motor bearing noise, and checking for ultrasonic environmental noise pollution from TVs, computers, fluorescent tubes, machinery, intruder detection systems, etc. 900 Series - TEGAM Inc.
TRUST is an essential feature in any measurement tool and TEGAM’s new 900 Series thermometers are instruments you can rely on every day with confidence. These new models are the most accurate thermometers ever offered by TEGAM to meet the increasing demands of regulatory requirements in food, pharmaceutical, and materials applications where process temperature measurement is critical. Superior instrument accuracy, combined with the “Probe Offset” feature to zero out probe errors, makes their “system” accuracy unmatched in the industry. Like all TEGAM products, the 900 Series thermometers are designed, assembled and tested in the United States. TEGAM backs this durable instrument with a standard 3 year warranty to assure you that your investment is sound. 8 voltage settings: 240Vac, 2kV, 6kV, 11kV, 22kV, 33kV, 132kV, and 275kV.● High bright LED visual indication.● Sound indication.● Easy-to-prove method.● Self-test selection.● Use 3 × 1.5V “C” batteries.● High impact nylon casing.● Non-contact work by proximity.● Compatible with most link sticks.● Lightweight, robust, & compact.● Suitable for indoor and outdoor use.● Detects low voltage on any systems.● Easy access to batteries.● No special parts needed.● Meets EN 61326-1 EN 55011 EN 61000-4-2 EN 61000-4-3● United States Design Patent : US D474, 705 S● Special ranges are available upon request. NoiseScout provides a comprehensive but easy-to-use 24/7 noise monitoring solution. 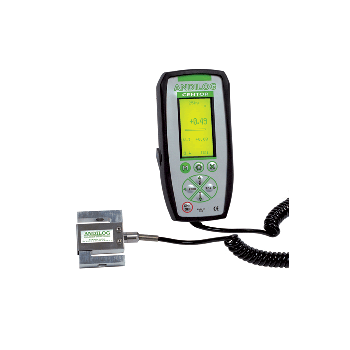 Noise levels are recorded on-site by the XL2 Sound Level Meter and are available online for monitoring and download. NoiseScout is aimed at both short term noise assessments and long term monitoring applications. During acquisition, automated email alerts allow noise issues to be addressed before a non-compliance condition arises. NoiseScout displays the noise levels measured by the XL2 Sound Level Meter live in your web browser. The measurement data recorded out in the field is presented online in charts and dashboards. 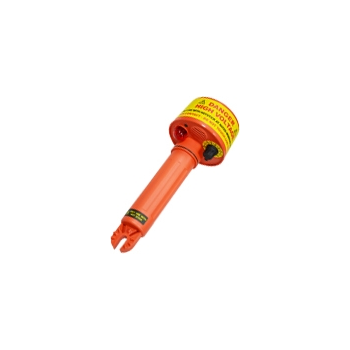 Multiple noise level meters can be monitored simultaneously within the map view, thus providing localized geographic visualization for all noise levels at a glance. 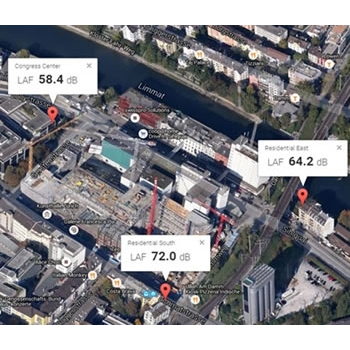 Identified users can access all their projects, control their monitors or create basic view modes, allowing stakeholders to oversee their noise level data. 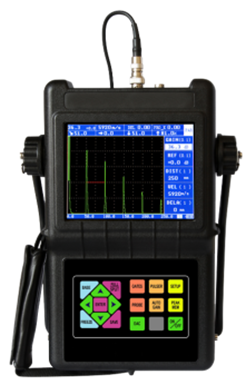 GAOTek flaw detectors examine a material by making sound waves at high frequency to pass through the material. 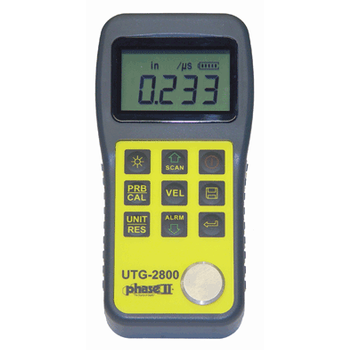 They are used for applications that require ultrasonic testing. Our flaw detectors are affordable high quality devices that provide accurate detection for easy testing and monitoring. They are compact, easy to carry and portable devices that allow the user to work in complex conditions and circumstances. SV 211 - SVANTEK Sp. z o.o. The major applications of this system are: periodical on-line noise monitoring, building construction site monitoring, acoustic map making, verification of the noise barrier efficiency. SV 211 is compatible with SVAN 97x instruments. 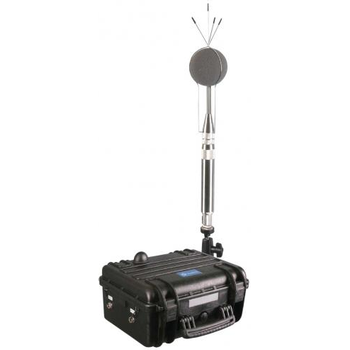 The sound meter or analyzer is installed inside a waterproof case which is also equipped with a battery and controller. Controller ensures the correct work of complete system. 2521 - Shenzhen Chuangxin Instruments Co., Ltd. 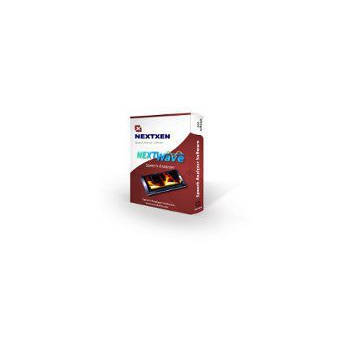 The NEXTWave™ Speech and Audio Analyzer is a powerful digital signal processing software package that provides you with an exciting and innovative interactive environment for acoustic data analysis. Get professional real-time speech and audio spectrograms on your PC using a standard sound card. The software environment provides a 3D 'virtual world' that allows both real-time A/D data acquisition and file-based operations.